Sumatran Orangutan (Pongo abelii) – Critically Endangered. Significant areas of the Orangutan’s range are seriously threatened by logging, mining concessions and agricultural plantations, while new roads are continuously being cut through the habitat. Even in formally protected areas, Orangutans remain under threat from forest conversion to plantations, illegal settlement and encroachment, and in some areas poaching. 4,500 Sumatran Orangutans could be lost by 2030 as a direct consequence of this spatial plan and related developments. Due to their slow life history, with a generation time of at least 25 years, Sumatran Orangutan populations are unable to sustain substantial and continual loss of individuals. Sumatran Orangutans are frequently killed deliberately, completely illegally, and surviving infants end up in an illegal pet trade. This trade tends to be a by-product of habitat conversion, for example, if an Orangutan is found in an isolated patch of trees during the conversion process, there is a high probability it will be killed. Sumatran Orangutans are also regularly killed in human-wildlife conflict situations. 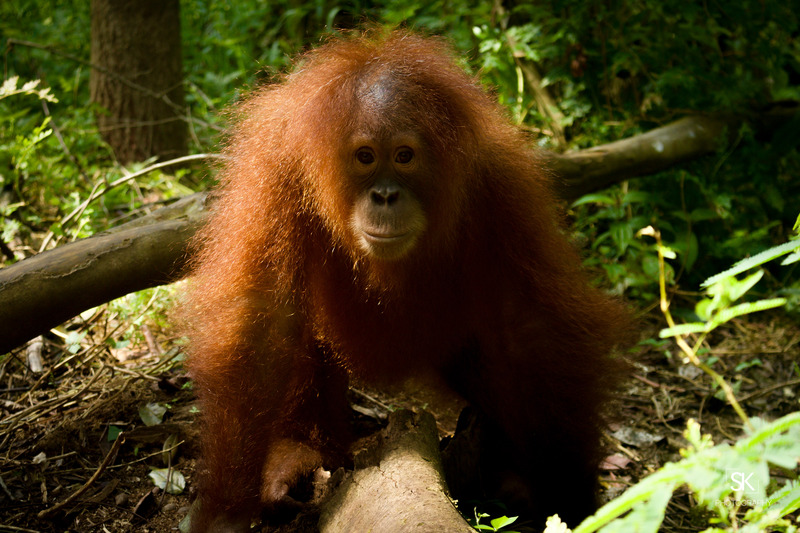 In parts of North Sumatra, orangutans are still occasionally hunted as food.